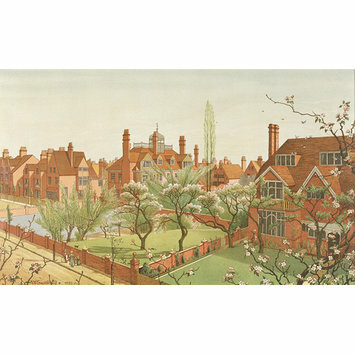 One of a portfolio of 9 plates [E.4031 to 4039-1906] with views of Bedford Park estate, Chiswick, ca. 1880. With letterpress list of plates etc. 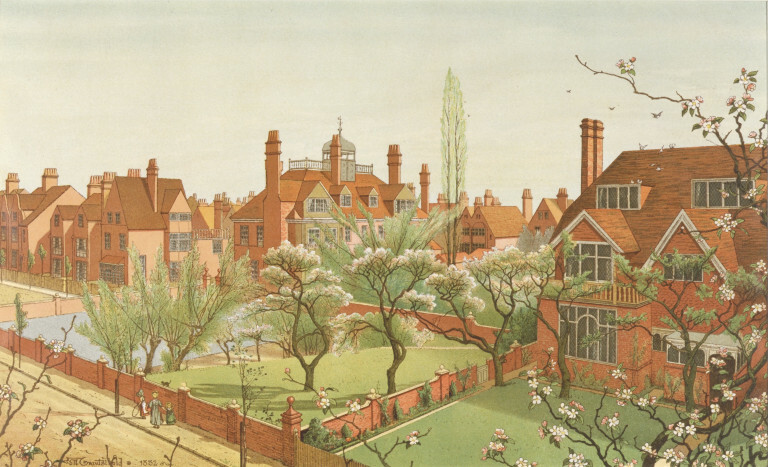 Transferred from the National Art Library (L.621) in 1907.